No Uber and Lyft in Austin? No problem! All of Austin is abuzz with Uber and Lyft leaving the city. Whichever side you are on, getting access to the downtown area one way or another will still be a concern. 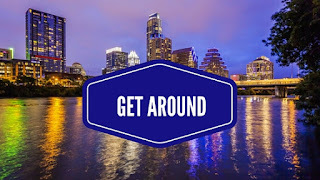 While Tech Times lists other ride-hailing apps that still service Austin, you can always go the more traditional route of calling a cab, using public transport, or having a designated driver. But, our suggestion is more of a long term solution to the problem. If you work downtown, are a student, or you regularly enjoy the Austin nightlife, why not consider living or moving closer to your interests? As Austin is growing, new apartment complexes and urban nightlife spots are popping up all over the East Side. Even though rents are a little bit higher, if you take into account that you won’t need to own a car, or that you will barely use it (thus cutting down on the costs of living), these locations might turn out to be worth it for you. If this sounds like something you would be interested in, keep reading! At 7 East Apartments, the best of Austin’s local shopping, dining, and fitness spots, are all accessible within walking distance. Plus, Austin’s nightlife on 6th and Rainey streets are just a hop, skip, and a jump away. The building itself also offers a large bike storage room, dog park, and skylounge patio equipped with a kitchen, grill, flat screen TV and an amazing downtown view of the city. So, for those nights that you want to enjoy yourself, but don’t feel like going out, invite your friends over to the skylounge for a relaxing time! Also, for those looking to get around town without biking or walking, 7 East is conveniently located next to Capmetro bus routes, and the metro rail red line, that can take you as far as Leander. If you love staying active, you will love the River View Apartments! This new Austin skyrise overlooks Lady Bird lake and Zilker Park, and it is just a quick bike ride from Barton Springs pool. The building itself offers kayak and paddle boat storage and rentals. It also offers a soundproof jam studio for Austin’s aspiring or established musicians. There are also restaurants, bars, and other recreational establishments within walking distance. Staying fit, and staying close to everything you enjoy has never been easier or more convenient. If pricing remains an issue for you, or you prefer a quieter neighborhood, then consider the Far West area. Located just over 5 miles from downtown, this is a peaceful neighborhood that allows you access to the downtown area via bus shuttle. The University of Texas has a 7 minute shuttle without traffic, or up to 20 minute ride with traffic, that picks up in the neighborhood and drops off on Guadalupe and Dean Keaton, right downtown. The neighborhood offers living options ranging from upscale townhomes, such as Sommerset, to budget friendly apartments like Acacia Cliffs, and The Ridge, not to mention there are condos and duplexes also for rent. As with the downtown locations, this area has an HEB, a post office, library, restaurants and a Starbucks within walking distance. Once again, living without a car is completely feasible in this part of town! We hope you found these locations helpful to solving the challenges that come with no longer having Uber and Lyft in Austin! If you love this idea, but aren’t sure if any of these places will work for you, here at Apartment Specialists we are experts at helping individuals find apartments to call home that will work within their location, budget and desires. We would love to help you get set up with exactly what you need. Our locating service is free and our expert locators are the best! Call 512 241 1111 today!